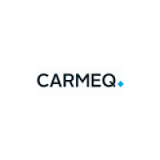 Carmeq is a Volkswagen Group company working for the international automotive and automotive supplier industries. Our core business is software for onboard electronics. As an innovative developer, expert consultant and experienced project manager, we develop current trends and support our customers through all phases of implementing novel solutions – from the creation of technical concepts to their practical realization. In the process, we rely on the latest technologies and methods. With around 450 employees, we work on pioneering solutions for appealing, reliable mobility. Our headquarters is situated in Berlin, Germany with additional locations in Wolfsburg and Ingolstadt.